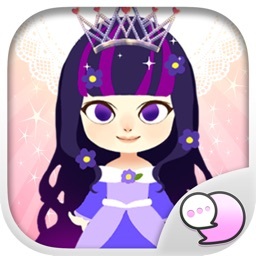 Ready with the Boo chain, many funny characters. 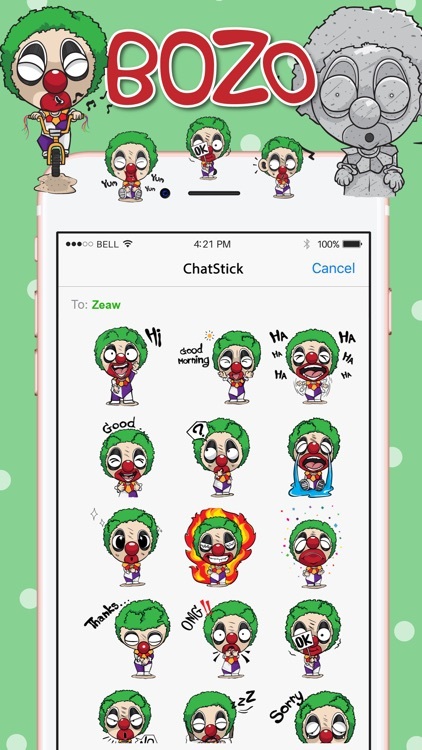 With iMessage stickers you can send as many cute stickers as you like. 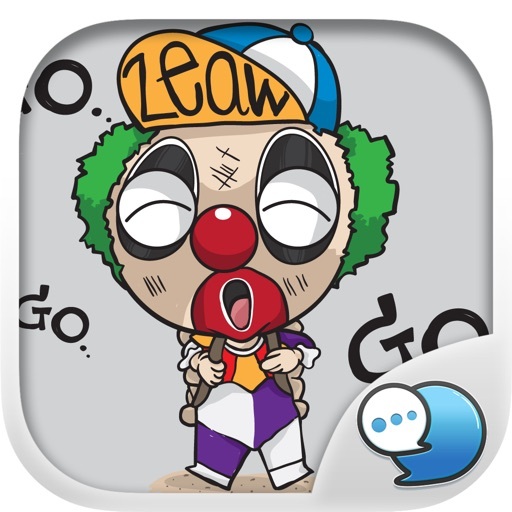 This is the official mobile iMessage Sticker of BOZO Character. 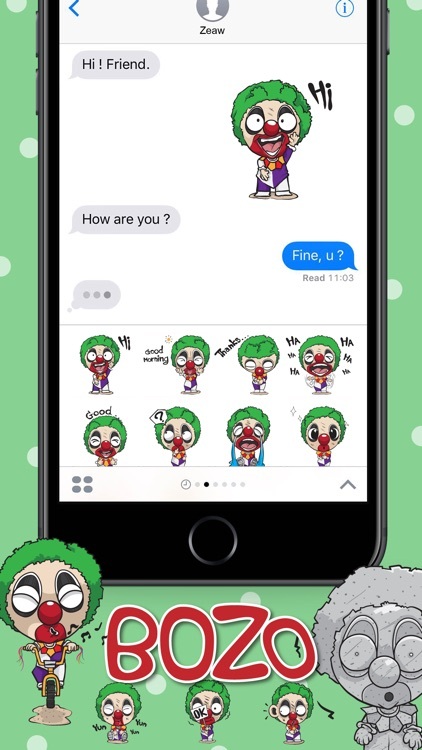 You can download the free stickers to support the creator. 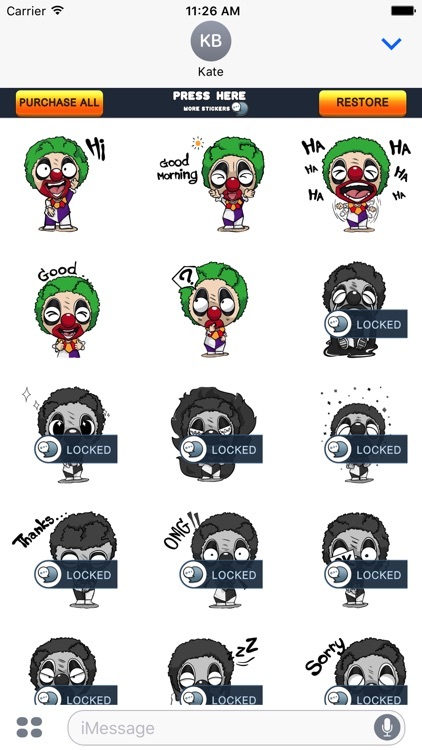 If you love this pack, Unlock all this to get all stickers.